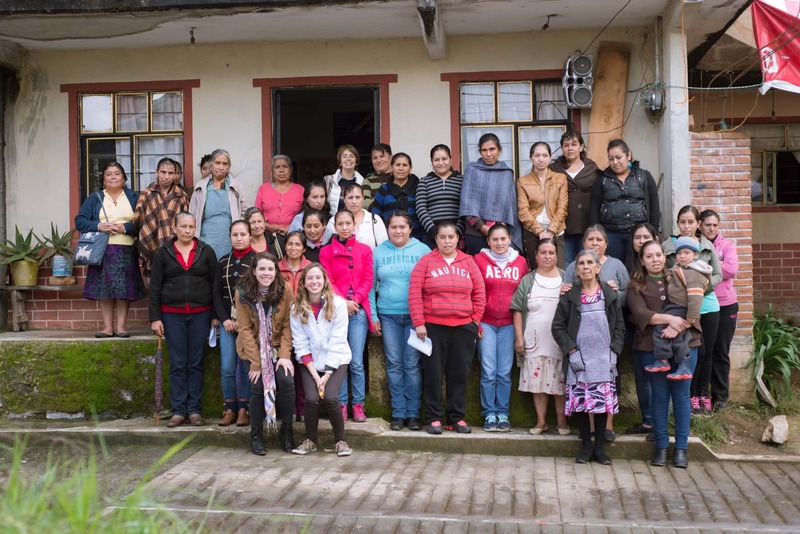 We recently caught up with Lina Moreno Velez, founder of Amarella to learn more about how she was inspired to set up an organization that supports and preserves Mexican artisans and their culture. Originally from Colombia, we were intrigued by her story and vision and wanted to share this with you. The idea to set up Amarella (which means yellow, and symbolises the colorful vibrancy of the brand’s products)began when I first arrived in Mexico. I was blown away by its arts and crafts. This motivated me to travel and explore the different regions within the country and I wanted to get a feel for the true craftsmanship behind these objects. However, it was not an easy task. Everything is handled through middlemen and the artisans remain practically unknown. I began looking everywhere for different avenues to connect with the artisans directly and got in touch with government agencies too. 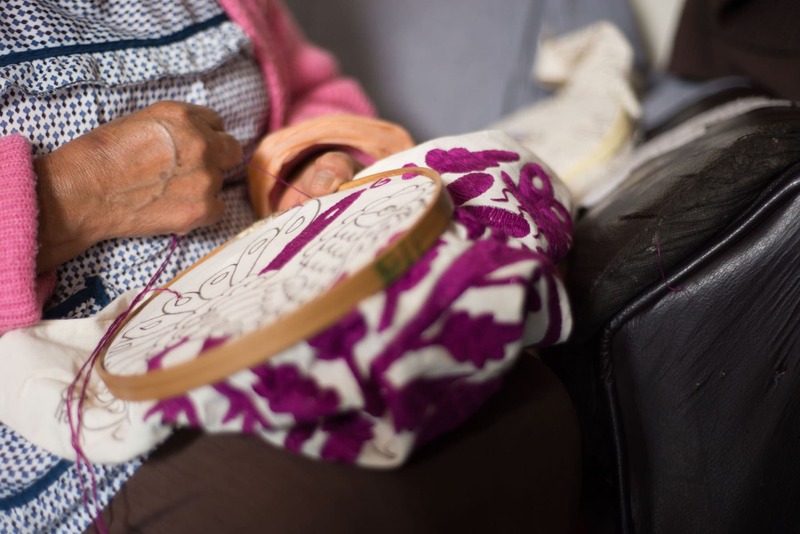 I finally had a breakthrough when I arrived in Tenango de Doria, Hidalgo where I discovered one of the most amazing Mexican hand-made embroidery products. 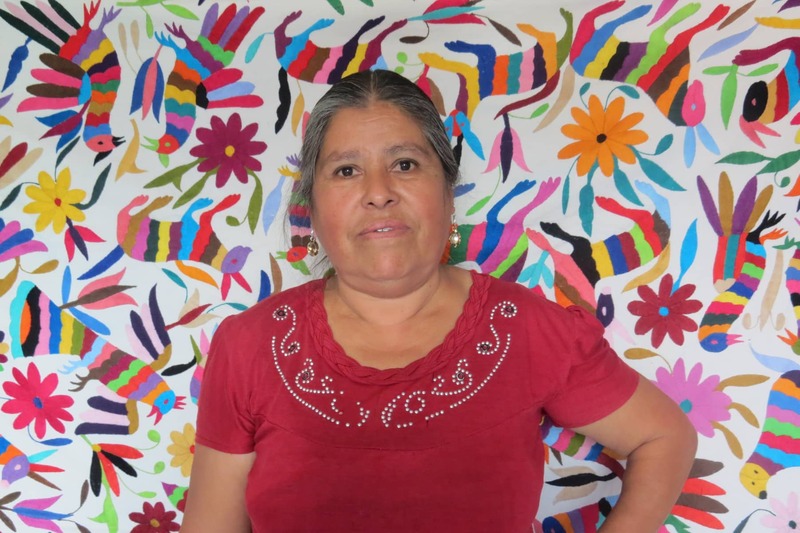 I talked to the government agency that supports artisan development in Hidalgo and they told me about Eva Hernandez Tolentino, a local artisan. I decided to visit her house and I told her about how delighted I was to discover Mexican arts and crafts. Her story intrigued me. She told me that their handmade technique was not well paid and that she didn’t trust the traditional distribution channels. She also lacked good quality materials to manufacture her products. 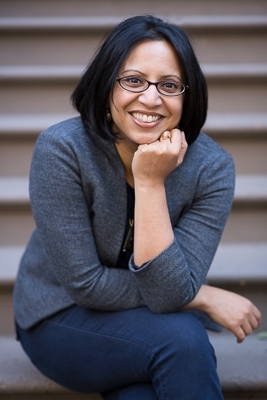 As she lived in a marginal neighborhood, she was not able to sell her products to tourists. I was inspired to to look for solutions that would satisfy her needs and constraints. Two months later Amarella had a team of volunteers, partners, and designers ready for ACTION! We returned to Tenango de Doria with a business model that closed the gap between the community, the artisan suppliers and the consumers. We were able to find good quality supplies and new designs to complement their techniques. 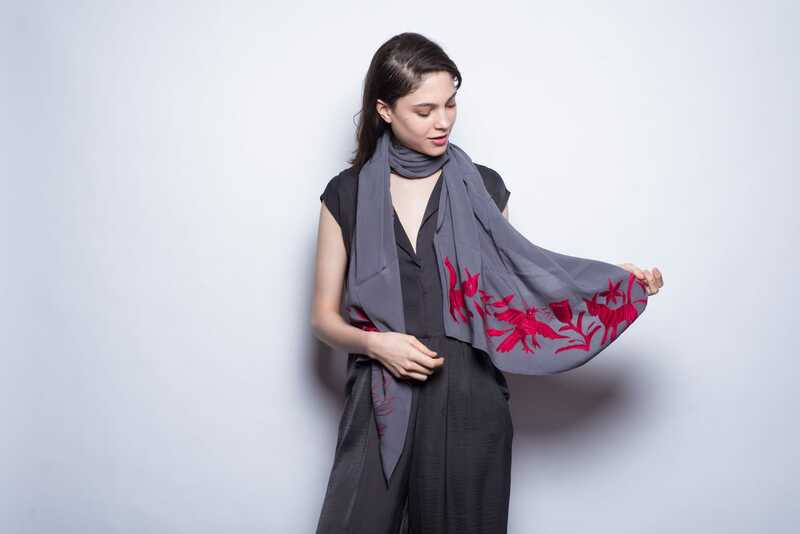 The first design we wanted to try with Eva was a pashmina that had 20cm of Tenango´s embroidery. We asked Eva for a sample, and told her to record the time and effort that took her to create the embroidery in order to assure a fair price. After three weeks we came back and five additional artisans joined our team. Each of them committed to embroider six pashminas per month and we all agreed on a fair price. We pay each artisan for each embroidery that they do and then we find different distribution channels to sell the product. The artisans receive a monthly package that includes all of the supplies and the instructions for their work. Each month the artisans send us the finished products by mail, and we go on to sell them to our customers. Amarella began operating in July 2015 and we now have 42 artisans and counting! These are individuals and families that we have enable to improve their living conditions and increased their income by 100%. As we are eager to improve Mexican artisan’s communities by identifying their hand-made techniques with entrepreneurial potential, we started by diagnosing the community living conditions in order to find solutions for their needs. We combine contemporary products with the artisan’s techniques in order to create diversity, leading to cultural preservation. At the moment, our primary customers are Colombian women. However, for 2016 we are planning to strengthen the Mexican market. Amarella´s items will be sold in five different, trendy shops in Mexico City. We will continue selling out products in Colombia via Shopify and if we succeed you will find our products in Bogotá, Medellin and Cartagena. We found that foreigners, in this case Colombians, admire the variety of textures, shapes and colors of Mexican arts and crafts and appreciate the diversity and uniqueness. Everybody loves beautiful clothing at a low price. We love it too. But when you find out that the products you are wearing are made by people whose working conditions are borderline slavery, you start to ask yourself if there isn’t another way. Our business plan is focussed on giving customers an added value. Amarella generates social impact by creating unique, and well-made products, crafted by artisans communities that directly benefit from this project. For every purchase of Amarella´s items our customers contribute to an improved quality of life for our artisan partners as well as jointly preserving the Mexican Artisan Culture . We have also developed a line of handbags that are made in Oaxaca. This is a unique project as we work with women who are incarcerated. The project began with aid from the Government of Oaxaca. Amarella plans to use organic cotton and other raw materials for its handmade products and we are in the process of doing thorough research in order to be able to find a very good value of raw and organic materials (fabrics and threads). Each season we will have a line of products. 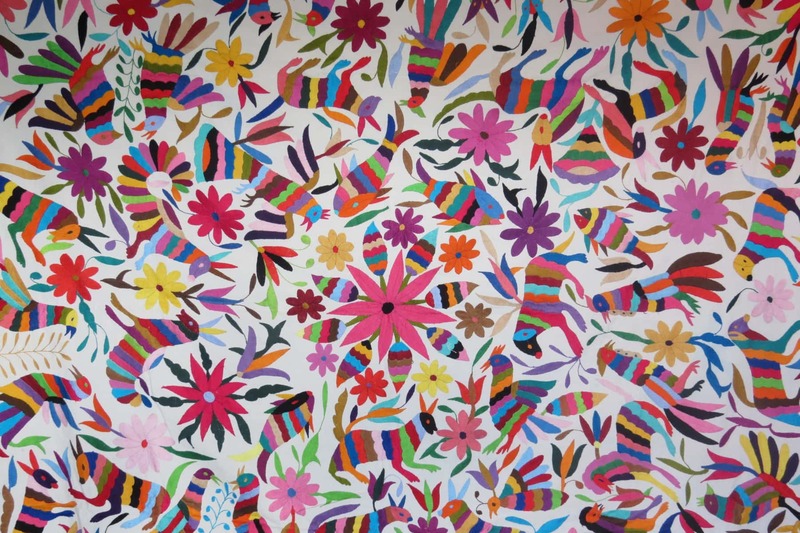 For September-December 2015, Amarella launched handmade pashminas each one with a unique design made by 42 artisans from Tenango De Doria. 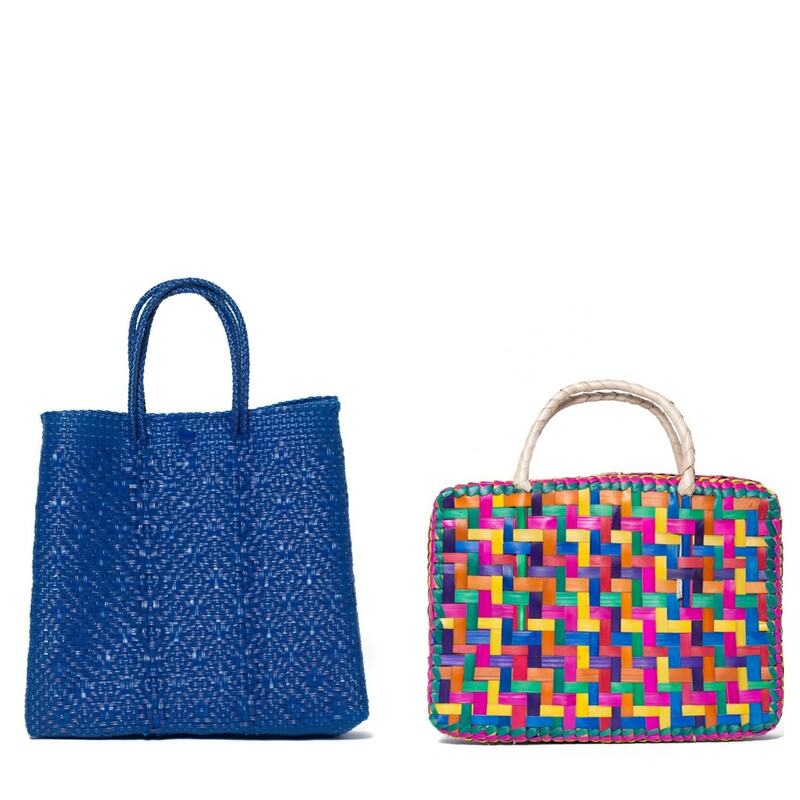 The handbags from Oaxaca, were also part of this line of products. In March 2016 we will launch t-shirts embroidered by the artisans from Tenango de Doria and we will also launch a kimono embroidered by 30 artisans from Hueyapan, Puebla. Each design is created with the artisans and a group of volunteer designers who work cooperatively. 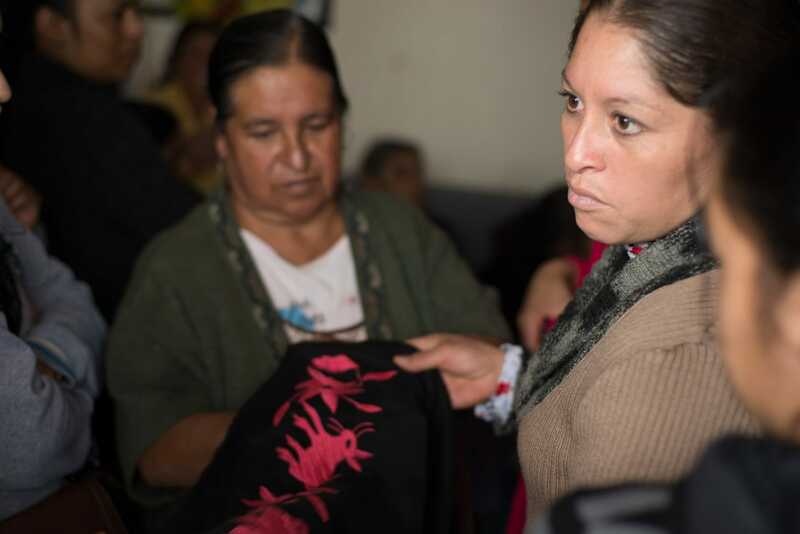 The artisans attend different workshops which include courses of design and dressmaking and these courses are taught by Amarella´s group of volunteers. One of our biggest success has been the ability to provide our artisans with healthcare. Many of the artisans suffer from poor eyesight and doing intricate embroidery work doesn’t help. Amarella partnered with Salauno Eye Clinic, to provide treatment that includes new lenses at very low prices and donations for eye surgery. One of our biggest challenges in the recent past has been to be able to consolidate our business model to encompass both the social and the economic aspects of our work. They both have to work out simultaneously in order to achieve a sustainable development. Amarella is a social enterprise that obtains revenue in response for a demand of different products, in order to sustain our production processes, we have to find that right balance. Another of biggest challenges is to ensure the longevity of the organization by responding to the different demands of the market, and by implementing an income diversification (our sales are not dependent in few clients). Around 1,800,000 artisans live in Mexico, of which 66% don’t get an income from their crafts because they live in marginalized areas. While, the artisans have tremendous skills and techniques, the lack of competitive supplies, tools, and access to a bigger market, have decreased the value of their hand-made products. In 2016 we will start to operate with the other two communities and plan to expand to different parts of Mexico where traditional artisan techniques are practiced. Currently, we have two artisan communities one in Hueyapan, Puebla and the other in San Martin de Tilcajete Oaxaca. We plan to replicate our current business model in these communities too. Amarella aims to continue support the value and preservation of Mexican crafts by bringing design, technical and operational solutions to their communities.